Shopping today in the Pearl district over the lunch hour my friend and I stopped into Sur La Table where I promptly saw this adorable honey pot. A bargain for only $7.95. So why is this a Woo Hoo!! Wednesday you ask? This isn't extravagant, over the top, expensive etc etc. True. You're right. It's none of those things. BUT, I have no use for a honey pot no matter how adorable it is. I detest the taste of honey. Yes, you heard me. In foods I can tolerate it. ON foods, No. No no no no no. When you have a sore throat they say honey heals it quickly. So I gag down, yes gag, a teaspoon down. My sore throat does go away sooner but oooh is it nasty. So as you can see, honey is a Woo Hoo!! Wednesday. How great would it be to get a jar of cute honey as a party favor. Fabulous. 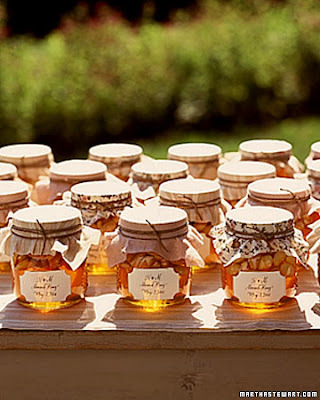 If you like honey. Honey sticks. Kids LOVE these. Except me. By the way, this an adorable little blog called Oh, Hello Friend. 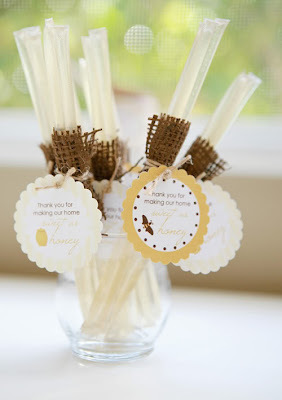 I do find honey/bee themed parties cute and you can have SO much fun with them. I just wouldn't eat any of the food that tasted like honey :) And I can't get that little honey pot out of my head. So cute. But again, what would I do with it? 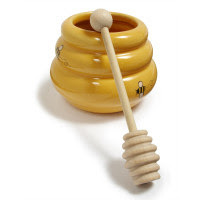 Friends and family reading this post: yes I think this honey pot is the bees knees but please don't get it for me Christmas. I have to be so careful what I put on here that I adore. I just may end up receiving it as a gift :) Woo Hoo!! Isn't it though! But what would I really do with it. My man uses the bear too :) I'm guessing people with money and honey afcionados would use that honey tool. Bee and Honey theme is so cute Jenn. If you throw one you can totally guest blog here.